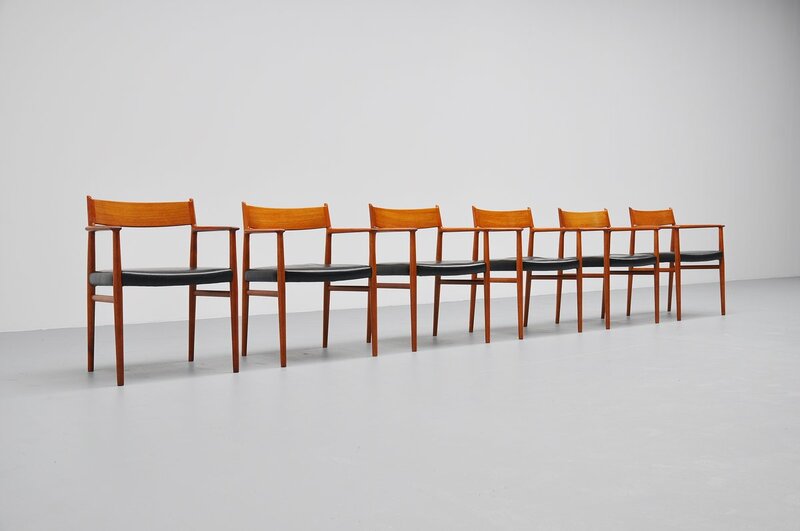 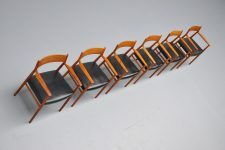 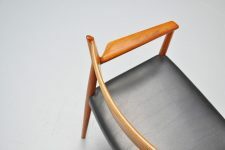 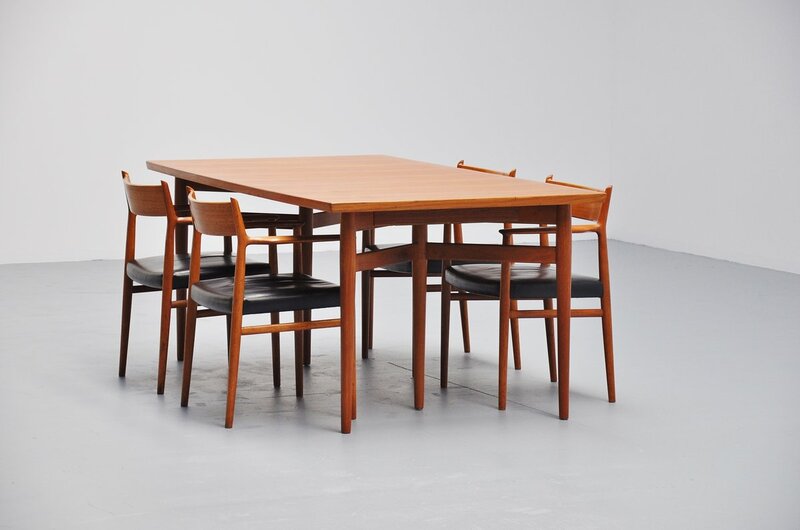 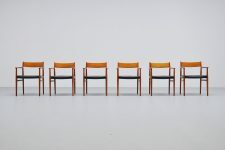 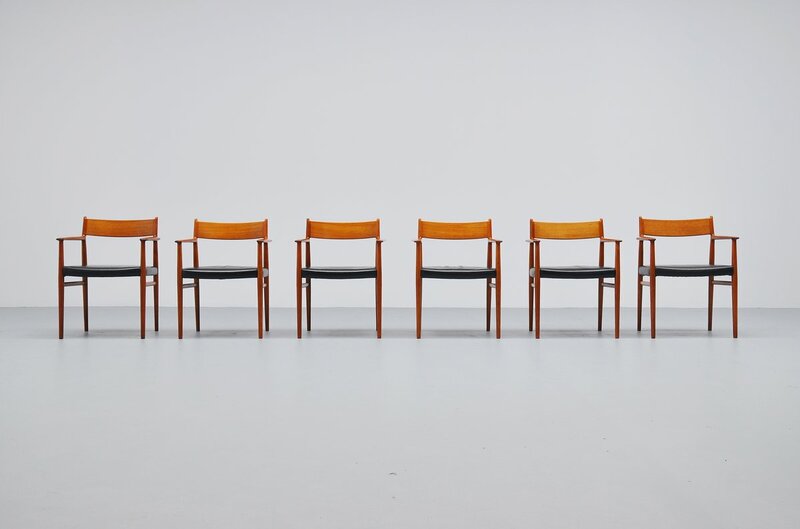 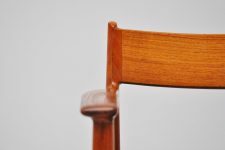 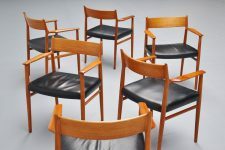 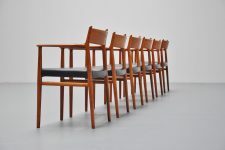 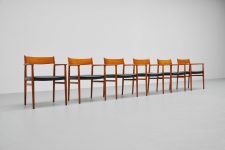 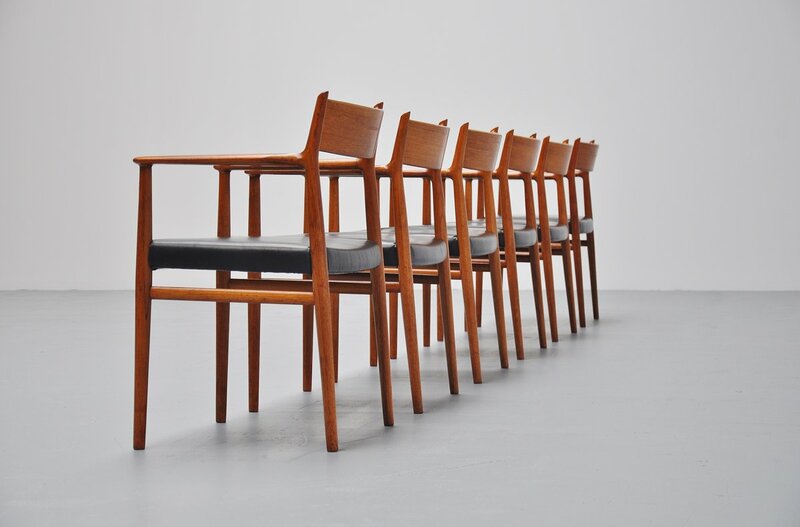 Very nice set of dining chair designed by Arne Vodder for Sibast Mobler 1965. This is a very nice set of 6 chair with armrests and original black leather upholstery. 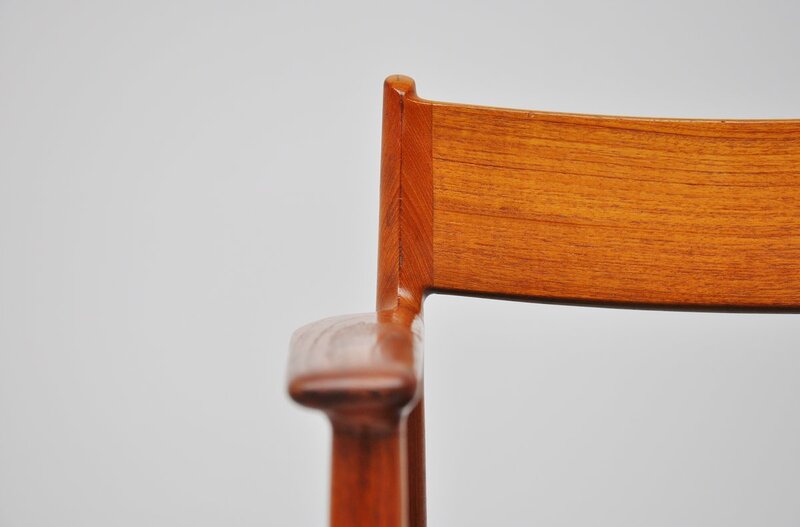 Chairs are marked with Sibast stickers and are in original condition. 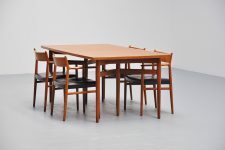 Comfort seating and look great with the matching dining table we have by Arne Vodder.